An Insignificant Man: 2016; Directors Khushboo Renka and Vinay Shukla; Running time-96 minutes; Language-Hindi with English subtitles. Melbourne, 30 May: Directors Khushboo Renka and Vinay Shukla’s ‘An Insignificant Man’ is a documentary which starts with the formation of the Aam Admi Party (AAP) and ends with it forming the first government in Delhi with Congress support, lasting 48 days. The anti-corruption party’s and its’s leader Kejriwal’s phenomenal rise and success is traced with footage that takes the viewer through their offices, private and public meetings, election campaign amidst rising people’s support (December 2012 to the Delhi elections in December 2013). Yogendra Yadav and Prashant Bhushan (later expelled from the party) are visible throughout the film. Poet Kumar Viswas announcing Shiela Dixit’s defeat in the New Delhi seat and earlier creeping tensions in candidate selection speak for themselves. The AAP cracking the years of the two-party system in Delhi never went well with the BJP and the Congress. In one TV interview just before the election, Shiela Dixit said, “Kejriwal is not even on our radar” and Prime Minister Modi said at an election rally that Delhi has always been with the BJP, indicated how much out of touch the two main parties were in Delhi. The subsequent developments including the expulsion of Rajendra Yadav and Prashant Bhushan, Kejriwal resigning as CM, one year of no government in Delhi and the AAP back with 67 out of 70 seats in the Delhi Assembly come as text only as the documentary ends. In fact, much more has happened after the making of this documentary. What is right or wrong has not been commented upon. Anyone can make their own conclusions. Obviously, those in Indian politics and on the other side of the fence might see it as a projection of Kejriwal and his party. But if you see the documentary this argument might not stand. One wonders what objection the Indian censor has to the documentary. Reportedly, it wants the producers to get a no objection certificate for the Indian Prime Minister and remove references to the BJP and the Congress. I suspect, the final word on the AAP and Kajriwal is yet to be said. This documentary is part-1 of the story. Still, no doubt, makes a riveting watch. 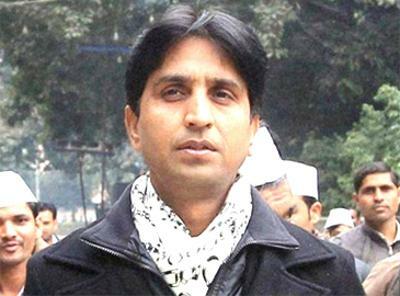 Dr. Kumar Vishwas, Convener, AAP Overseas has announced the formal structure of the Overseas team of the Aam Aadmi Party to connect Indians abroad to this political revolution in June and an integral part of it was the social media team. AAP Overseas has been able to connect thousands of Indians settled abroad with the fight against corruption in India started by the Aam Aadmi Party. What crowned this initial achievement was the ‘#TalktoAK’ Campaign which not only trended top in India but was 4th worldwide in twitter trends. 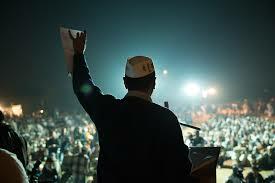 Following with highly successful campaigns like #AKinGujrat etc. 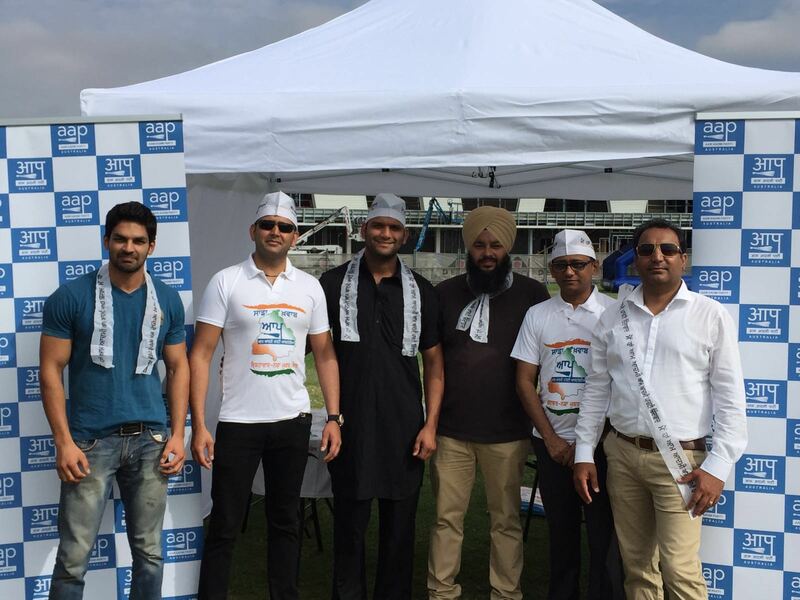 AAP Overseas social media team is the trendsetter now on twitter and other SM platforms. AAP Overseas is not only spreading the work done by the AAP in India but is also responsible for making viral the activities of its different chapters in different countries all over the world. With worldwide trends like #AAPUK4Punjab #AAPCanadaYouth etc. it is the frontrunner in Global trends leaving Social media teams of other political parties far behind trying to achieve even one tenth of the success of AAP Overseas. This team really showed her mettle with back to back campaigns against the highly criticized demonetisation scheme of Indian Prime Minister Narendra Modi’s. The way they brought out the loopholes of the scheme right in its initial stages made their trends worldwide drawing media attention to what was intrinsically wrong with this drastic step. And now it’s crowning glory is the Chalo Punjab and Calling Campaign, where Indians settled abroad, are being motivated to return to India and Campaign to save Punjab or to call and motivate the voters for AAP if they cannot be physically present in Punjab.